You are here: Home / Dirt Merchant Digest / Deal Strategies and Structures / Opportunity Knocks: Notes on Sale! You may not have noticed yet, but you will. There is a coming wave of non-performing notes for sale from banks and any other publicly traded entities. Why? It’s due to an arcane regulatory issue from the Financial Accounting Standards Board (FASB) known as Accounting Standards Update No. 2011-02. This is a 180-degree turnaround of the FASB standard issued in 2009 that suspended “mark-to-market” accounting, which allowed banks and financial institutions (including the GSE’s) to avoid marking down the value of their real estate loans and mortgage securities. Those mark-downs would have devastated the banking sector. The FASB update means the practice of “amend, extend and pretend” begun in 2009, and morphed into “delay and pray” through 2010-2011, is over. In 2008-2009 the banks tried to do anything to keep a loan from being classified as non-performing. Aided by the government and the FASB relaxation of the mark-to-market accounting standard, two- and three-year workouts were the norm. They expected that by 2012 things would be better and the problem loans would take care of themselves. It didn’t quite work out that way. One component of our business focuses only on the distressed world, in which we regularly deal with between 50 and 100 banks, from large to small. We’re involved with them in every aspect of distress. We act as receivers, we act as disposition agents, we value the real estate for them and oftentimes I consult with them to just help them understand what they have and what the easiest way is for them to exit while minimizing their losses. This segment was very busy in 2009. We did many receiverships all over the country, and we were busy into 2010. In about the third quarter of 2010, it completely ground to a halt. We saw no distress. We saw no hysteria. It was as if within a span of 90 or 120 days the entire world righted itself. It was one of the weirdest things I’ve ever seen, and it lasted for an entire year. Our business in the distress world was totally dead around here from about October of 2010 to November of 2011. Dead. I don’t think we picked up a single property. All of a sudden, right after Thanksgiving in 2011, the floodgates opened again. In the last six weeks we probably picked up seven or eight receiverships – and we’re now seeing some really big-ticket properties with major loans on them that have gone into distress, and they’re all sharing some characteristics in common. In 2008 and 2009, these borrowers were put on a workout or had a forbearance agreement put into place with their lenders. Most banks have repaired their balance sheets, and now have an incentive to liquidate problem loans and OREO’s. This sets the stage is set for higher transaction volume in distress property this year, as well as in non-performing notes. In recent weeks I’ve had calls from three of my banks with notes for sale, secured by properties they do not want to foreclose on because they know there is a huge loss waiting on the auction block. The bank’s best prospects are the bank’s customers who have weathered the downturn and have an appetite for acquisitions. The bank would sell the note at a discount—even if they have to finance the purchase—and minimize the loss. 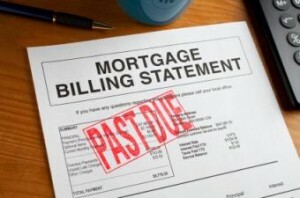 Buyers then deal with the borrower on whatever terms can be negotiated. The deal I looked at this week is leased with a long-term tenant paying above market rent, the note is in default and can be foreclosed immediately, and the bank is willing to finance the purchase. We could use the property if it were to become vacant, so I’m tempted. Brokers I talk to around the country are getting lots of calls from banks looking for non-performing note buyers. I expect the volume to increase significantly, especially around the end of each quarter when financial statements must be filed and reserves recalculated. If you haven’t heard from your bankers lately, give them a call and ask the question, “What’s the biggest problem on your list you would like to get rid of today?” You may be the best call that banker gets all week. Happy hunting!